Jonathan P. Armstrong practices in the area of corporate law with a concentration in technology and compliance. Mr. Armstrong's practice includes counseling multinational companies on matters involving risk, technology and compliance across Europe. He has handled legal matters in more than 40 countries involving emerging technology, corporate governance, reputation, internal investigations, marketing, branding and global privacy policies. 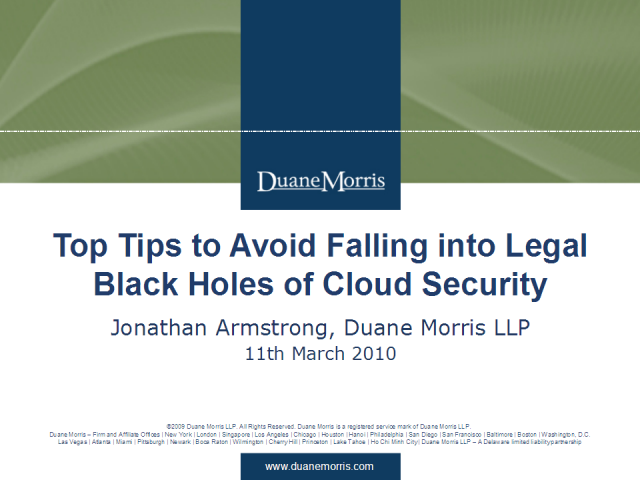 Mr. Armstrong has counseled a range of clients on breach prevention, mitigation and response. Mr. Armstrong is a frequent broadcaster for the BBC and other channels and recently appeared on BBC News 24 as the studio guest on the Walport Review. Mr. Armstrong is a graduate of the University of Leeds.